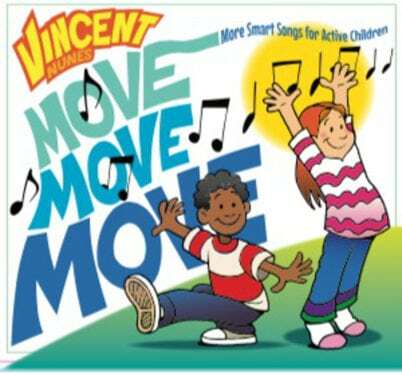 We have some great tunes for your whole family. Check out these great NAPPA Winners! 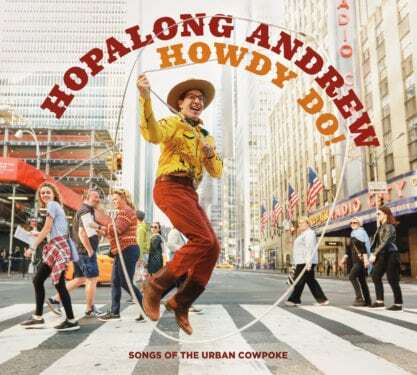 Hailing from the wilds of New York City, Hopalong Andrew populates Howdy Do! mostly with witty Western-style parody updates of old standards. He cleverly turns the old Gene Autry classic “Back In The Saddle Again” into “Back In The City Again,” and “Jingle Jangle Jingle” into “Ice Cream Dude,” for example. Most impressive is his nimble-tongued name-checking of NYC neighborhoods on “I’ve Been Everywhere In New York City (based on Johnny Cash hit “I’ve Been Everywhere”). See if you replicate his rapid-fire recitations! While Hopalong Andrew’s twangy tunes may be parodies they never cross the line into being camp hokum. Written with affection and a fun-loving spirit, his “urban cowpoke” music provides a great soundtrack for barn dances and cattle drives – or backyard parties and car rides. The songs on Songs For Sisters And Brothers are certainly for sisters and brothers, but they will entertain mothers and fathers too. 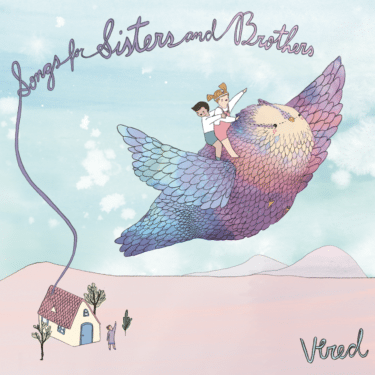 Vered not only has composed a wonderful set of songs that explore various aspects of childhood and parenthood, but she has done so in an inspired variety of ways. She uses an African-style melody on the stand-out song “Little Bit Tough,” and veers into doo-wop on another highlight, “Library of the World.” Notable numbers too are “One Family,” with its “we are all brothers and sisters” message,” and “It’ll Be,” a charming duet with Walter Martin where they imagine growing old together. And parents, you will not want to miss the funny confessional “PR Agent” that closes this fantastic family album. Randy Sharp & Dave Kinnoin have established themselves as one of family music’s top duos on their first two collaborations. On album three they continue their high standards, filling Snorkel with a dozen great tunes. They are particularly expert on constructing wildly hilarious story-songs, and numbers like “Everybody’s Ignorant,” “Mr. Berschmicker,” “Oh, Wait, That Wasn’t Me,” and the title track will draw big laughs from listeners of all ages. 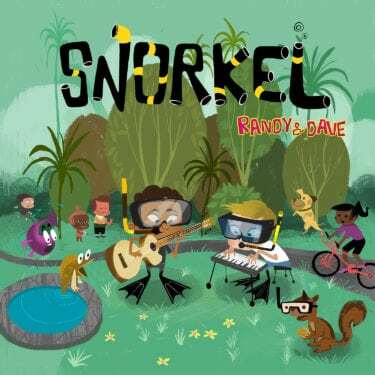 Randy & Dave also excel here on their “maybe-not-as-zany” tunes, where they serenade you about curly cat, a berserk squirrel, a cute little dog, and the joys of having “absolutely nowhere to go.” Snorkel is a superb CD whether you have somewhere to go or not. 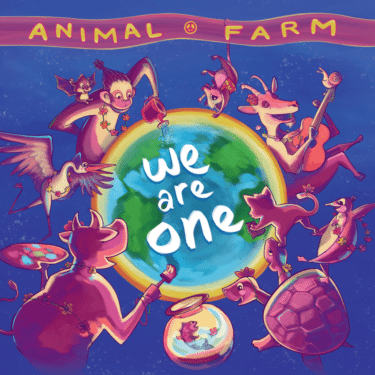 On We Are One, Animal Farm has assembled a marvelous menagerie of songs about animals – which probably isn’t a surprise considering the band’s name. These songs, however, aren’t your typical little ditties about lions, tigers, and snakes. 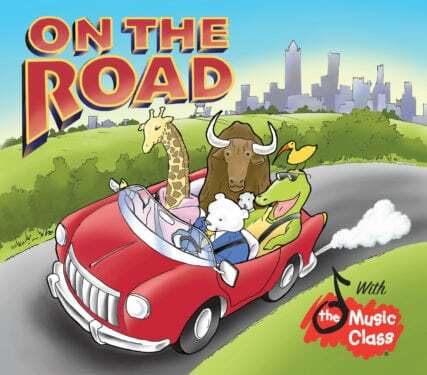 There are imaginative tunes about an awesome possum and a two-headed tortoise. 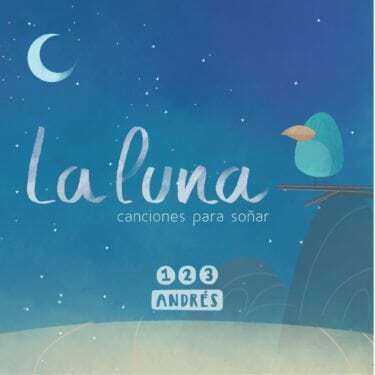 “Snow Bird” actually is about a penguin who longs to fly, while “Nocturnal Me” concerns a bat with a fear of the dark. Then, there’s the delightful “Ear Worm,” a funny, hummable number about getting a song stuck in your head. We Are One, in fact, is stocked with many songs that will stick in your head. What will you find in Shoebox Town? There will be a “little bitty fish (in a) little bitty pond,” a “zilli billionaire,” and “a sticky little lollipop (and ) a little kitten curled up in daddy’s shoes.” It also has old-fashioned amusements like a “magic penny” and a merry carousel down by a pier. Tracy Newman’s follow-up to her equally excellent I Can Swing Forever reveals her gift for writing songs filled with a kid-like sense of wonder and whimsy that are dusted lightly with some gentle messages too. On the title track, for example, she lovingly sings about making her “Shoebox Town,” complete with a cereal bowl pool, while also portraying the brother as being helpful (and not destructive) to his sister’s creation. Newman makes Shoebox Town a great place to visit. Enjoy the music! #PlayLearnConnect with #NAPPAAwards!Elena Epstein is a mom of two and the director of NAPPA Awards, the longest running and most respected awards program in the industry, celebrating the best in family products for 28 years. For more product reviews, visit nappaawards.com.